Cradle Alpine Retreat is designed with you in mind. The retreat is an oasis of romance, rest and a retreat away from all the busyness of life. Cradle Alpine Retreat blends comfort with a touch of wilderness to ensure a peaceful and relaxed stay. There are four spacious self-contained cottages. 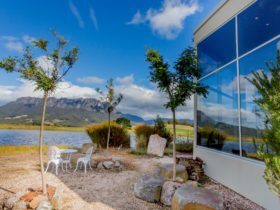 All Cradle Alpine Retreat cottages have a well-equipped kitchen, electric blankets, 3 cottages with log fires and 3 cottages with private spa bathrooms, as well as the beautiful views of Mount Roland. Cradle Alpine Retreat’s fifteen luxury forest chalets have been purpose built to blend with the forest and provide the perfect wilderness retreat/mountain getaway ambience. Our chalets are beautifully appointed to provide comfort and guest privacy. Each chalet has its own private veranda for guests to enjoy the beautiful forest surrounds. 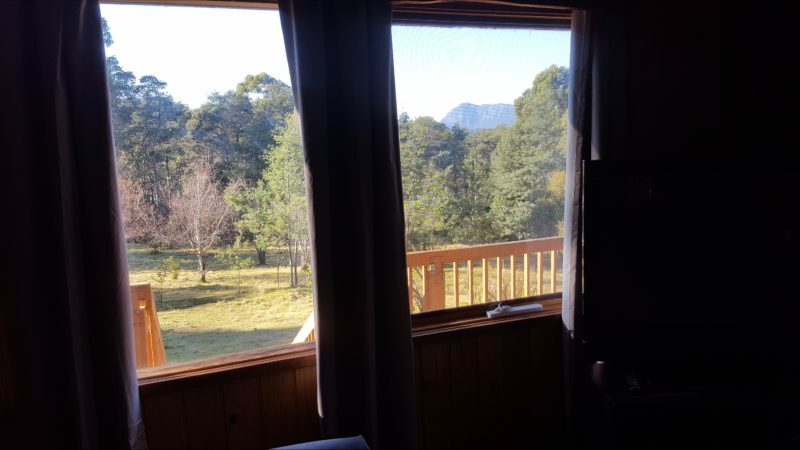 All the cottages and chalets are nestled within more than 50 acres of private forest, and ideally located 15 minutes from Cradle Mountain National Park. For those that want to purely relax and not cook there is a restaurant on site. Feathers Bistro is open for breakfast and morning tea between 8am and 11am, and between 11am and 8pm for all other meals and snacks. This cosy cottage is ideal for a family or a small group. The cottage features 2 bedrooms comprising of a queen bed, 2 single beds and also a fold out couch. 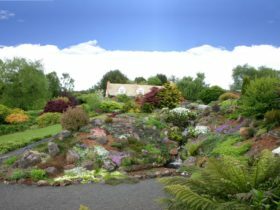 Other features include a spa bath, log fire, well equipped kitchen, outdoor deck and stunning views of Mount Roland. The property offers easy access to the best of the Cradle Mountain area, activities and attractions. Short 1-2 minute walk to Feathers Restaurant for those that don’t want the hassle of cooking. This cottage will suit a couple wanting that romantic escape comprising open plan with a queen bed. Other features include a well equipped kitchen, log fire and stunning views of Mount Roland. 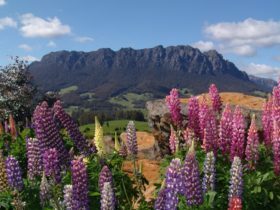 The property offers easy access to the best of the Cradle Mountain area, activities and attractions. A short one-two minute walk to Feathers Restaurant for those that don’t want the hassle of cooking. This cottage is ideal for a couple or a small family comprising a queen bed and a fold out couch. Other features include a well appointed kitchen, log fire, spa bath, deck with BBQ and stunning views of Mount Roland. 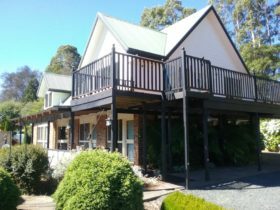 The property offers easy access to the best of the Cradle Mountain area, activities and attractions. A short one to two minute walk to Feathers Restaurant for those that don’t want the hassle of cooking. This cottage will suit a couple wanting that romantic escape comprising open plan with a queen bed. Other features include a well equipped kitchen, split system heating/cooling, spa bath and stunning views of Mount Roland. The property offers easy access to the best of the Cradle Mountain area, activities and attractions. A short one-two minute walk to Feathers Restaurant for those that don’t want the hassle of cooking. Two-bedroom self-contained chalet. Both rooms have a queen size bed, kitchenette has a full stove, microwave and fridge, Lounge/dinning are and ensuite with shower. For added pleasure is a deck area to admire the beautiful bush surrounds. One bedroom chalet with queen size, kitchenette and ensuite bathroom with shower. There is also a sitting area and for added pleasure is a deck area to admire the beautiful bush surrounds. 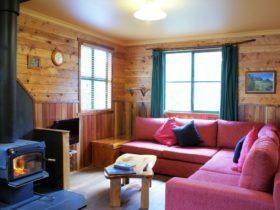 Wombat Chalet is a 1 bedroom chalet with queen size, kitchenette and ensuite bathroom with shower. There is also a sitting area and for added pleasure is a deck area to admire the beautiful bush surrounds. It is one of the seven Cradle Alpine Retreat cottages and chalets. is designed with you in mind. The retreat is an oasis of romance, rest and a retreat away from all the busyness of life. For those that want to purely relax and not cook there is a restaurant a short walk away within 1-2 minutes. The Cosy Gumnut Chalet is the ideal weekend getaway to escape and unwind. Gumnut Chalet creates a space to step back from the hectic pace of modern life. Gumnut Chalet is open plan and contains it’s own private bathroom with shower. The chalet also contains a kitchenette with microwave, kettle, toaster and electric fry pan. The Cosy Bluegum Chalet is the ideal weekend getaway to escape and unwind. Bluegum Chalet creates a space to step back from the hectic pace of modern life. Bluegum Chalet is open plan and contains it’s own private bathroom with shower. The chalet also contains a kitchenette with microwave, kettle, toaster and electric fry pan. The Cosy Wattle Chalet is the ideal weekend getaway to escape and unwind. Wattle Chalet creates a space to step back from the hectic pace of modern life. Wattle Chalet is open plan and contains it’s own private bathroom with shower. The chalet also contains a kitchenette with microwave, kettle, toaster and electric fry pan. The Cosy Waratah Chalet is the ideal weekend getaway to escape and unwind. Waratah Chalet creates a space to step back from the hectic pace of modern life. Waratah Chalet is open plan and contains it’s own private bathroom with spa. The chalet also contains a kitchenette with microwave, kettle, toaster and electric fry pan. Open plan, antique style queen size bed, private ensuite, hairdryer, DVD, sofa. Tea & coffee facilities, fridge, microwave, kettle, toaster. Meals available onsite at the restaurant. 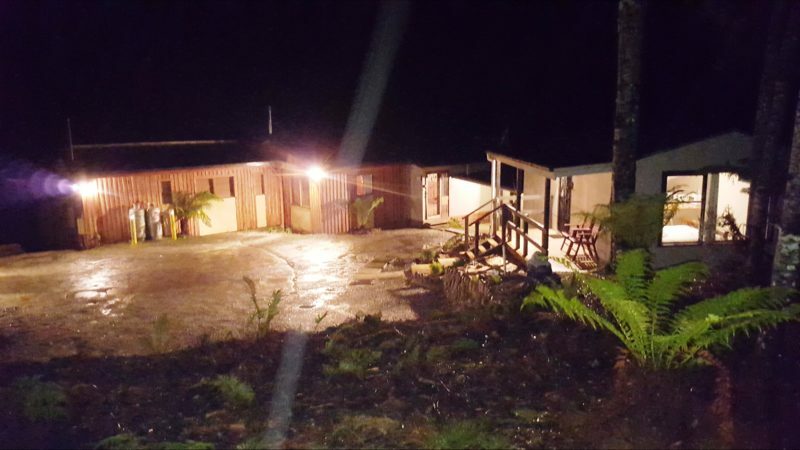 The Cosy Emu Chalet is the ideal weekend getaway to escape and unwind. Emu Chalet creates a space to step back from the hectic pace of modern life. Emu Chalet is open plan and contains it’s own private bathroom with shower. The chalet also contains a kitchenette with microwave, kettle, toaster and electric fry pan. Dove Lake Chalet is open plan with an antique queen bed, lounge area, additional sofa bed, TV/Stereo, and en-suite bathroom with a spa as well as a shower. The chalet also contains a kitchenette with microwave, kettle, toaster and electric fry pan. Guests enjoy a complimentary continental breakfast in the privacy of their room. The Cosy Dove Lake Chalet is the ideal weekend getaway to escape and unwind. Dove Lake Chalet creates a space to step back from the hectic pace of modern life. St Clair Chalet is open plan with an antique queen bed, lounge area, additional sofa bed, TV/Stereo, and en-suite bathroom with a spa as well as a shower. The chalet also contains a kitchenette with microwave, kettle, toaster and electric fry pan. The Cosy St Clair Chalet is the ideal weekend getaway to escape and unwind. St Clair Chalet creates a space to step back from the hectic pace of modern life. 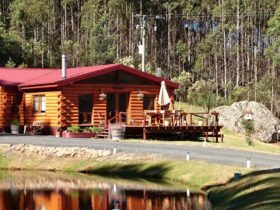 The Cosy Kookaburra Chalet is the ideal weekend getaway to escape and unwind. Kookaburra Chalet creates a space to step back from the hectic pace of modern life. Kookaburra Chalet is open plan and contains it’s own private bathroom with shower. The chalet also contains a kitchenette with microwave, kettle, toaster and electric fry pan. The Cosy Dragon Fly Chalet is the ideal weekend getaway to escape and unwind. Dragon Fly Chalet creates a space to step back from the hectic pace of modern life. Dragon Fly Chalet is open plan and contains it’s own private bathroom with shower. The chalet also contains a kitchenette with microwave, kettle, toaster and electric fry pan. Echidna Chalet is open plan with an antique queen bed, lounge area, additional sofa bed, TV/Stereo, and en-suite bathroom with a personal hip bath as well as a shower. The chalet also contains a kitchenette with microwave, kettle, toaster and electric fry pan. 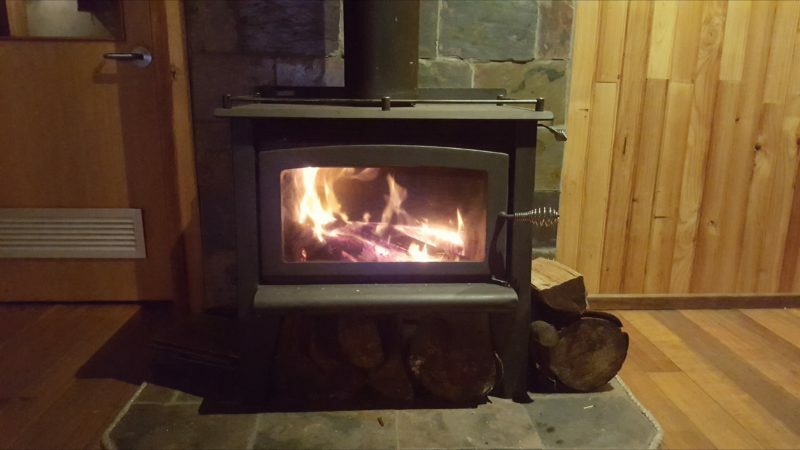 The Cosy Echidna Chalet is the ideal weekend getaway to escape and unwind. Echidna Chalet creates a space to step back from the hectic pace of modern life. Wallaby Chalet is open plan with an antique queen bed, lounge area, additional sofa bed, TV/Stereo, and en-suite bathroom with a personal hip bath as well as a shower. The chalet also contains a kitchenette with microwave, kettle, toaster and electric fry pan. The Cosy Wallaby Chalet is the ideal weekend getaway to escape and unwind. Wallaby Chalet creates a space to step back from the hectic pace of modern life.